This time of year, you read a lot of things about income tax and what, we, as bloggers and online sellers, owe on what we make in income each year. Yet, I don’t see much about paying and reporting sales tax. I live in Texas and each state has different laws, rules, and codes. I thought I would share what I found out about the Sales Tax requirements for my online blog and business as a resident of Texas. 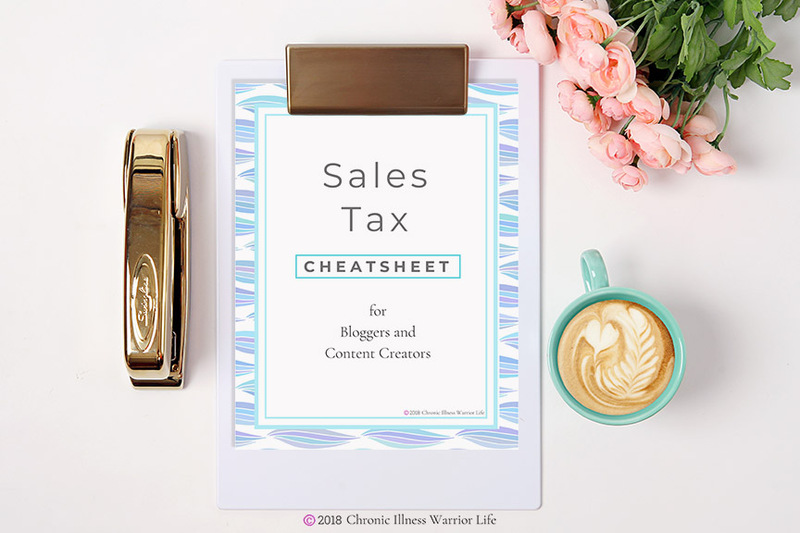 I think you may be surprised to learn about sales tax reporting for bloggers and content creators with digital products across all of the United States. Disclaimer & Disclosure: I am not an attorney or a CPA. This information is based on my personal experience, part of which is being a resident of the state of Texas. This post is not meant to substitute legal advice, but as a jumping off point to research and seek advice for your own business. There also may be affiliate links in this post. These are “no cost to you” links that I receive a commission if you make a purchase after clicking the link. These commissions are one of the ways I support my business and I only ever suggest something if I know will help my readers. The person I spoke with at the Texas State Comptroller’s Office, gave me a very detailed explanation. With my frequent phone calls with our insurance company, (one of the perks of having a chronic illness), I guess I was expecting a minimally understandable and easily contradictable answer. I was pleasantly surprised (maybe a little shocked) that this was not the case. Not only did the representative help me research the unique circumstances of a blogger and a content creator of digital products, but she backed her answers up with the correct documentation that I could reference i.e. *Note: Even though I am referencing specific laws and tax codes for the State of Texas, the following questions that you should be asking yourself and assuring you are in compliance with can be applied to any state. 1. What are you supposed to collect sales tax on? 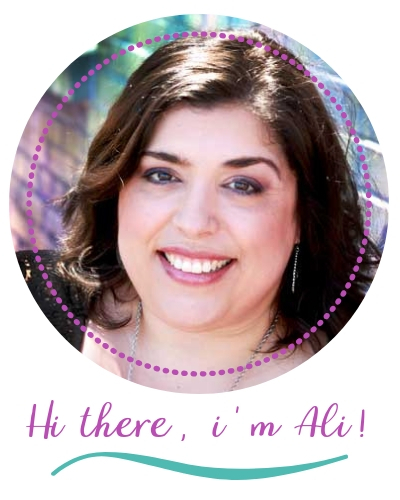 This was a no-brainer for the jewelry I sell in my Etsy shop, but it was news to me that it also applies to digital products, such as digital (as well as printable artwork), organizational printables, e-books, membership sites, and courses. I suspected I was supposed to report these, but as of yet, I do not offer any services. In the state of Texas, a digital product requires you to collect sales tax on it if the physical version of the product is taxable. So if I sell an ebook (keep in mind that my online business is in the state of Texas) to a customer (who also lives in Texas), then they pay (and I collect) sales tax. Why, you ask? Because if I sold an actual book (physical item) to them, then I would collect sales tax. Therefore, a digital book would also be taxable. To find out if you should be collecting sales tax on your digital products in other states, see this comprehensive list by state on Tax Jar. 2. What if I my business is completely online? Online Sales 94-171 If you live in Texas, sell more than two taxable items in a 12-month period, and ship or deliver those items to customers in Texas, you are required by law to have a Texas Sales Tax Permit. The only reason I have mine is because of my previous side hustle of creating jewelry and selling on Etsy. 3. Do I pay sales tax on the cost of shipping my customers pay for? Yes. Charges for transportation or delivery to a Texas location (insert your state here), both before and after the sale, are considered to be services or expenses connected to the sale and thus taxable. Whether you charge sales tax or not depends on if the customer will “receive” it in the state of Texas ((insert your state here). Use Sec. 151.330 of Sales Tax & Use LAWS for referencing. You do not need to collect sales tax on items you deliver (a.k.a. are “fulfilled”) to out-of-state customers. To document such a sale, your records must include proof of delivery, such as a bill of lading, a shipping invoice or a postal receipt. delivers items in Texas only through common carriers or the U.S. Postal Service. Exception: If you are an out-of-state seller who comes to Texas during a disaster response period (like Houston after Hurricane Harvey) only to repair or restore critical infrastructure damaged in a disaster or other emergency, you are not engaged in business here. Examples of critical infrastructure disaster- or emergency-related work include repairing equipment or property used by a telecommunications provider (such as buildings, lines and poles) or repairing water pipelines. Certain restrictions apply. See Rule 3.286 for more information. 5. Who do you “owe” or pay these collected sales taxes to? -Under certain circumstances, you may have to collect and report in other states where you regularly conduct business. 6. How do I know how much sales tax to collect? 7. What if I didn’t collect sales tax at the sale of a product or service? I know you probably don’t want to know the answer to this, but you probably already know it. Yes, you have to go back, find all of your sales that should have collected for and pay out of your own pocket (business’ pocket). 8. How often do you report and pay sales tax? When you apply for your Resale Certificate (Sales Tax Number), they will let you know if you have to report sales tax yearly, quarterly, monthly. I believe it depends on the volume of your business. Read More About Blogging . . .
Let’s be real, you probably either love me or hate me right now. . . You know the saying “ignorance is bliss”? You might even be regretting reading this post. But don’t worry, I can redeem myself! Here is this A.M.A.Z.I.N.G. plugin from TaxJar that can do it ALL for you! It took me like 2 seconds to decide to sign up. I honestly didn’t even look at the monthly cost. I doubt you will either (unless you are a budget blogger).